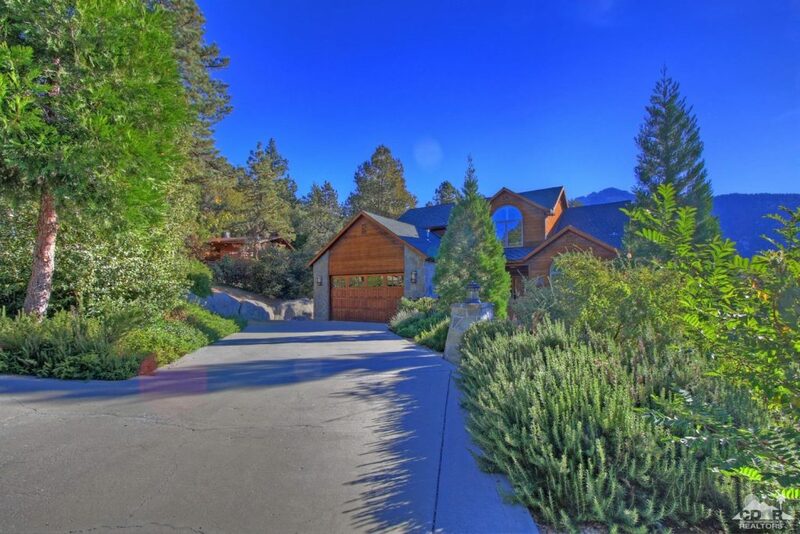 Stunning 4 bedroom home for sale in Idyllwild! High-quality, newer-built steel framed home on a large private lot with breathtaking panoramic views. Currently used as a 3 bedroom plus den or office, but could easily be a 4 bedroom home. The beautiful master suite has custom closet built-ins & there are 3 shower heads in the master-bath with thermostat controls from the master bedroom. Custom, gourmet kitchen with top of the line appliances and a solid bronze apron front on the sink. Large dining area opens to the great room with French doors that lead out to the grand, spacious deck which overlooks lush, tall pine trees and forever mountain views. Quality, distressed Cherry flooring are throughout except for the 3 bedrooms. High efficiency, floor to ceiling, stone fireplace in the Great room is a major focal point of the home. The property includes propane & septic tanks. Also includes washer, dryer refrigerator & two flat screen TVs. There’s even a finished, 2 car garage with direct access into the home through the large laundry room. This beautiful home is a must see! Directions: Hwy 243 North to Jameson. Take Jameson to Rockdale and turn left. Go to Fernleaf and turn right. House is up the hill on the right. Pull into the driveway. Nestled in the breathtaking San Jacinto Mountains, Idyllwild is set among tall pines, sweet smelling cedars, and legendary rocks. A “mile high” from Riverside and Palm Springs, Idyllwild ‘s cooler weather is a welcome reprieve from the heat in the valley. 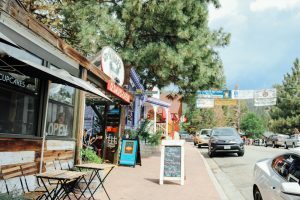 Idyllwild offers a serene, natural setting and a small-town atmosphere, with locally-owned shops and restaurants. If you are looking to get away from traffic and the bustle of city life, then Idyllwild is the ideal town for you. Idyllwild is flanked by two large and one smaller rock formation, Tahquitz Peak (with nearby Lily Rock) and Suicide Rock, which are famous in Southern California rock climbing circles. For outdoor enthusiasts, Idyllwild has a variety of mountain trails boasting majestic views and breathtaking scenery. 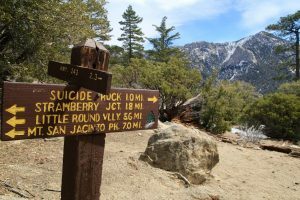 San Jacinto National Park, the highest point in the San Jacinto Range and second highest in Southern California, offers more than 50 trails to explore. A hike through many of the forest trails will take y ou by scenic mountain streams and lead you to peaks with breathtaking views of the Coachella Valley below. Idyllwild is also home to the annual Idyllwild International Festival of Cinema, which attracts visitors from all over. Things to see & do in Idyllwild include Jazz in the Pines, Art Alliance, Arts Academy, Art & Wine Walk, Idyllwild International Festival of Cinema, Lemon Lily Festival, PCT (Pacific Crest Trail), Spring Challenge, and Tahquitz Rock Climbing. For parents with school-age children, the community is served by Idyllwild School (K-8), which is part of Hemet Unified School District (HUSD). The Idyllwild Arts Academy is a college preparatory program for grades 9–12 and post-graduates with a focus in the arts. High school students attend Hemet High School, also part of HUSD and located in Hemet. With over 24 years of real estate experience, Elaine Stewart offers a wealth of local market knowledge and expertise. As a licensed, professional REALTOR®, Elaine is committed to providing her clients with accurate, reliable and trustworthy information and the personalized service they deserve. Elaine truly enjoys helping her clients find and get into their dream home! Please give top REALTOR®, Elaine Stewart a call today at 760-668-2399 or fill out the online contact form and she will be more than happy to answer any quests you may have.